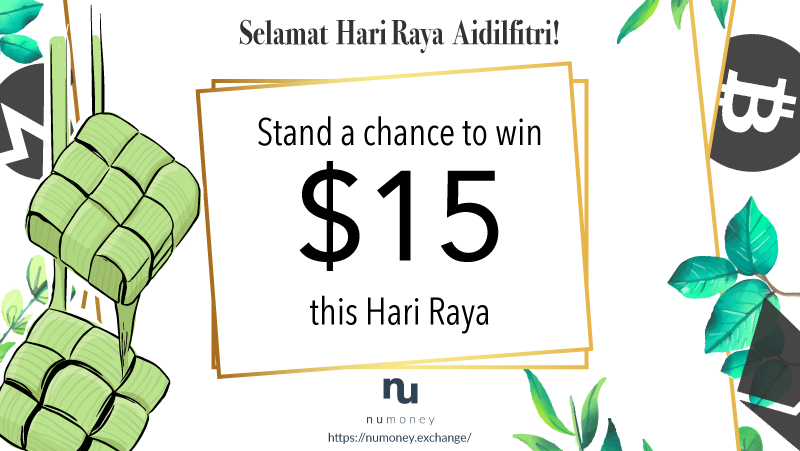 NuMoney wishes everyone Selamat Hari Raya Aidilfitri! In conjunction with our Bitcoin market being launched, we are having a special giveaway! THREE lucky winners will be selected to win $15 cash. In the meantime, do check out our exchange! If we have more than 50 likes on the original Facebook post: We will pick FIVE lucky winners instead. *This contest will end on Friday, 22nd June, 5pm SGT. Any likes after this timing will not be taken into account. WINNERS WILL BE SELECTED at 530pm SGT on Friday, 22th June and will be announced on our Facebook page.